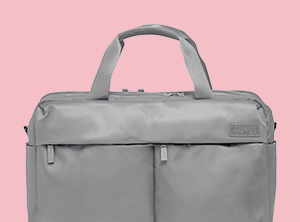 A stylish duffle bag when you're in need of packing space!  Features include a top zip closure, outer zippered pocket, comfortable carry handles, inner divider, slip-and-zip pockets and a branded patch. 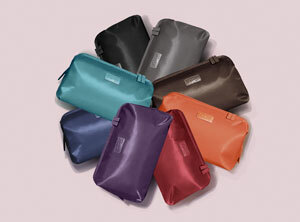  Made of twill nylon and leatherette. Body Dimensions: 20.0" x 13.5" x 10.0"